Is Fluoride the Hidden Cause of Your Acne? What do you do when you’ve tried everything to get rid of stubborn–even cystic–acne? You’ve nailed your topical regimen, you get regular facials, you’ve done the elimination diet and the detox, you take the supplements, you drink enough water, get enough sleep, exercise regularly…but your skin is still breaking out? Fluoride could be to blame. Sometimes the root cause of acne, and other skin and health conditions, is environmental rather than topical or nutritional. Sometimes the answer might be in the most obvious of places–your water. Not just the water you drink, but also the water you cook with and wash with. Today, we share with you an exceptional interview with NAA President, Rachael Pontillo, and author and activist, Melissa Gallico. Melissa is not someone with a background in skincare or environmental health. She is, in fact, a former military intelligence officer, Fulbright scholar, and intelligence specialist at the Federal Bureau of Investigation, and has instructed classes for FBI analysts at Quantico. 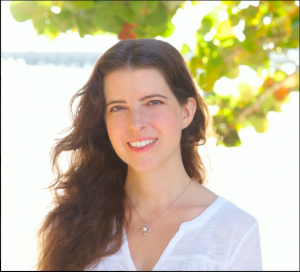 Like many, she began researching acne and its many causes out of necessity–to heal her own cystic acne, while already working with an aesthetician and taking other integrative measures. Rachael: Hi, Melissa. Thank you so much for joining me today. I’m so excited to speak with you and share your message with our audience. Melissa: Thanks so much for having me, Rachael. Rachael: Melissa and I had the opportunity to participate in a town hall meeting that was hosted by JJ Virgin but was a discussion between Dr. Mark Hyman and Congressman Tim Ryan, of Ohio. The conversation was generally around food safety and the food system and food politics and all of that and what the problem is and what this Congressman wants to do. At the end we had the opportunity to go to the microphone and ask questions. Melissa was one of those people who took the mic. It was like a mic drop, jaw drop moment where she was prepared. Melissa, why don’t you just give an overview of what you said and then we’ll go into what we’re talking about today, if you would? Melissa: Sure. Well, I did a little bit of research beforehand just to see what his mission is on my issue, which is public water fluoridation. I just Googled some of the history and I saw that he had signed a resolution back in 2015, which a lot of congressmen signed and congresswomen, declaring that the artificial fluoridation program is one of the greatest public health achievements of the 20th Century. I discovered that fluoride isn’t so great for me. It really gives me a pretty immediate skin reaction of cystic acne whenever I consume foods or beverages that are high in fluoride. I knew that Dr. Hyman, who was sitting right there hosting the discussion, also speaks out about the dangers of fluoride and how it’s not completely safe for everyone. Government dentists will say it’s completely safe for everyone no matter how much you consume. Certain people like me and a lot of others, are hyper-sensitive to it. I told him about my experience and how I figured out that my acne was caused by fluoride, and told him about some other people that I had spoken to like just the day before at the airport. At the layover on my way to San Diego I talked to a woman on the phone whose son is autistic, and he’s very sensitive to chemicals and he can’t even shower in fluoridated water without having pain. He gets headaches. His heart starts racing. He turns red. It’s really traumatic. If he eats it in food–there are certain food items that are really high in fluoride because it’s a common pesticide–he’ll have the same reaction. When I told Congressman Ryan about that he said, “I had no idea. I didn’t know.” I said, “I don’t blame you for voting for this resolution because all the information that you’re getting from the official agencies is that fluoride is great. It’s completely safe.” It’s really been amazing at reducing cavities and everybody is happy with it but there is a very important other side of the story I wanted to get across. He had a great answer when I asked, “What will it take to change your mind?” He said, “You’re already doing it right now. This is how things change, by sharing our stories.” He asked me to get with his staff and put together an overview and he would start looking into it. I was really encouraged by that. Rachael: You’ve started doing that, which is fantastic. I am so excited for what you did there. That was, to me, one of the standout moments of the entire summit that we attended. Thank you for standing up and for being so passionate, but also for coming prepared. You really were impactful. Rachael: The overall message was we have to do more than vote when we care about something. We do have to speak up. We do have to get involved, but when we do so coming from a position of education and having some sort of evidence and a prepared position is so much more effective. We are not just here to talk about that event today. We are here to talk about your book and also this work that you’re doing on the connection between fluoride and acne and just fluoride in general. You have two books. 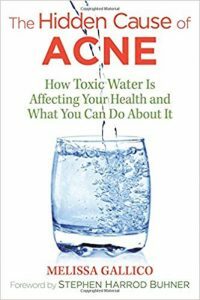 Your newer book is The Hidden Cause of Acne: How Toxic Water is Affecting Your Health and What You Can Do About It. 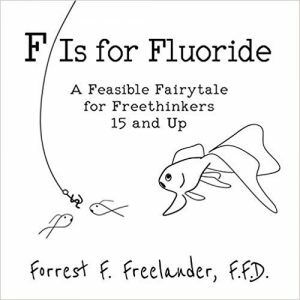 Then you have another book called F is For Fluoride: A Feasible Fairytale for Free Thinkers 15 and Up. I really want to just go back to the beginning here and ask you how did you even come to this? You struggled with acne as you mentioned. You eventually came to the conclusion that for you the main root cause was fluoride. What was it that really shed light on that for you in your own experience? Certain water supplies just felt uncomfortable on my skin. I felt like it left a sheen on my face after I washed it. I wasn’t getting clean. I was aggravating my skin by washing it. Very early on, I started using bottled water to wash my face. It didn’t completely fix the problem but it felt better. I didn’t even think until a decade later in my mid-thirties when I was still struggling with cystic acne, that it could be fluoride. I originally thought maybe lead, maybe copper. I knew topical applications of fluoride could cause acne like in your toothpaste, and things like that. I switched to a non-fluoridated toothpaste. Then I had the idea, “What about drinking it? It’s in the water. Is it somehow affecting my skin just by drinking fluoride?” I cut it out of my water and right away I saw a really big difference. It didn’t completely go away but it was so much better. I felt major improvement when I started drinking non-fluoridated water. Then I would get a few flare-ups and I would look at the literature on fluoride and see, “Oh, chicken bones are a really high source of fluoride” because, just like with us, it accumulates in their bones. Then we make soup out of it or we make chicken nuggets and little scraps of bone get into the finished product, and it’s really high in fluoride. I cut that out of my diet and it just kept getting better and better until I was able to live in the United States and not have cystic acne. I was so happy. I had started blogging about it a little bit when I was trying to figure it out. People would help me like, “Oh, look into this” or, “This food has fluoride.” That really helped me figure it out. I had first written a free PDF and just put it on there like, “Here’s how I healed my acne by avoiding fluoride.” This woman wrote to me and said, “Your book saved my life.” That’s where the book came from. When I looked at the literature on acne I was just shocked at how few studies dealt with diet. I think John’s Hopkins University did a study around the turn of the century and they looked at the last 50 years of acne research. They found that in over 99% of the cases they didn’t even mention diet, let alone actually study diet. It’s gotten a little bit better since then. There’s more studies on dairy. There’s more studies on sugar with the Paleo movement. No one is looking at fluoride. There are some allergists who have published about it, fluoride and acne, but there’s not a lot in the literature. I wrote the book putting my whole theory out there. I haven’t done clinical research but as an analyst I put together my theory, my intelligence assessment, and put it out there and I’m really excited to connect with other people. Rachael: It’s amazing. Okay. We talked about skin and we talked about how a lot of people are just really sensitive to fluoride but they might not realize that’s what they’re sensitive to. What are some of the other signs besides skin that somebody might be experiencing in an intolerance or sensitivity to fluoride? Melissa: It is really hard to know because we’re just inundated with it from so many different sources. Unless you had that experience that I had–people will notice when they travel their skin changes in the new environment–a lot of times that’s because of the varying fluoride levels. When I was in Del Ray Beach, Florida the fluoride level was over one-part per million, which is very high. It’s more than they recommend. My skin was really bad. Whereas when I lived in Virginia it was .6 so it was half of that. I still had acne but it wasn’t nearly as bad. If you notice changes in your skin when you travel it’s a really good sign that it could be fluoride. Dental fluorosis is another sign. It’s like a slight discoloring of your tooth enamel. It could be bright white spots or an opaqueness around the edge of your teeth. If you have dental fluorosis, your dentist can tell you if you’re not sure. That’s a good indicator that you’re sensitive to fluoride, because when your teeth were forming you were exposed to too much fluoride and it accumulated in your body. The rates of dental fluorosis have skyrocketed. In the ’80s, a survey showed that more than 20% of adolescents had dental fluorosis. They redid it 20 years later, and it was over 40% of adolescents. I go into a few more signs in the book, but things like thyroid issues are correlated with fluoride toxicity so if you’ve ever been diagnosed with hypothyroidism that could have been caused by fluoride. Depression is another sign that your acne could be systemic, because fluoride is a depressant. Rachael: That’s remarkable. I can say from my perspective and I’m sure our listeners will agree that acne is always systemic. It really truly is. Rachael: You know, thyroid disease is on the rise. Mental health issues are on the rise. Acne in general is on the rise. We’re seeing it not just in populations that typically would have acne, like with teenagers and then, again, you might see it in pregnancy and then sometimes you see it again later with menopause. We are just seeing it across all populations at an increased level where it “doesn’t make sense”. When we have something like that, when there’s a condition that we feel like we’re doing everything we’re supposed to be doing, it’s really important to think of these things that you might not normally think of, which is why I’m so glad you’re spreading awareness about this. This is just not what’s focused on in the research because it’s something that currently the government is pushing in general. They want fluoride in the water. Pediatricians, dentists, they’re all pushing the fluoride. It’s not something pharmaceutical that is really something that can be profited from. It’s not saying that there’s something insidious going on. It’s just that it’s not a priority. When there are people who are struggling it’s just important to look at all of these different things. This is a change that is something that you can make and it’s something within your control, which is good. Rachael: What are some other sources of fluoride that people should be aware of? We talked about certain foods. You mentioned pesticides I believe. Let’s talk about where else people could find fluoride and avoid it or eliminate it. Melissa: Right. Okay. Well, obviously check your dental products. That’s the first thing. Switching to a fluoride-free toothpaste. It could be in your mouthwash when you go to the dentist. Those are super high concentrations of fluoride. Check your water supply. I usually tell people if they can look for their water quality report from their local provider that will tell you exactly how much fluoride is in your water. Ideally, you want it under .1%. The mean fluoride content of just regular fresh water is .05%. You can filter it with reverse osmosis filters. Some spring waters have fluoride in them naturally, so you want to just double check those as well. Once you get your water cleaned up, then it’s really just a matter of figuring out those few high fluoride food sources. Anything made with fluoridated water will contain fluoride, such as pre-made beverages, or even things like mashed potatoes or pasta cooked at a restaurant. The pesticides are a little bit tricky. There are two main fluoride-based pesticides, and they’re not used on everything so don’t go crazy about it. The big sources are chicken products, like I mentioned, and it’s because the fluoride-based pesticides are used on their feed. The other big thing to look out with pesticides is grape products from this one valley in California where they happen to grow half of the world’s raisin supplies. Melissa: Because of some weird government rules after World War II, we just ended up overproducing raisins in this one area outside of Fresno. It’s just like a giant mono-crop of raisins. Every year they dump millions of pounds of fluoride-containing pesticides on these crops, and they have been found to be very high in fluoride. I have a pretty long section in my book about it, because I was very curious about raisin toxicity in dogs–if it could be fluoride poisoning because of the fluoride so I did an analysis there. If a box of raisins can kill a 100 pound Labrador retriever, just be very careful if you’re giving non-organic raisins to your children. Definitely be careful with raisins, table grapes from California, and wine. Then, the other really popular ones are tea, and that’s not a pesticide thing. It’s just because tea happens to uptake fluoride directly from the soil in significant amounts. It can be really high in fluoride. Black tea, green tea, white tea to a lesser extent, will contain fluoride. If you have a tea habit and you’re drinking tea every day it can actually accumulate in your bones. The fluoride content has to do with the age of the leaves, and how long you steep it for. Also, Teflon is a problem because is made of a fluoridated chemical. If there are scratches in your Teflon pans, it can leech fluoride into your foods. Rachael: Okay. We’re talking a lot about conventional foods. Does that mean that we’re safe from this if we are eating organic foods all the time? I know it’s not possible always to eat organic all the time if we’re traveling or if we’re out at a restaurant. What about buying organic foods and cooking at home and all of that? Rachael: With all of this stuff I just want to encourage people to do the very best you can. We’re not able to protect ourselves from every single toxicant that is in our environment, in our air, in our water. When you know about something, then it really becomes important to look at what you’re doing in your daily life, what you’re doing in your place of business. 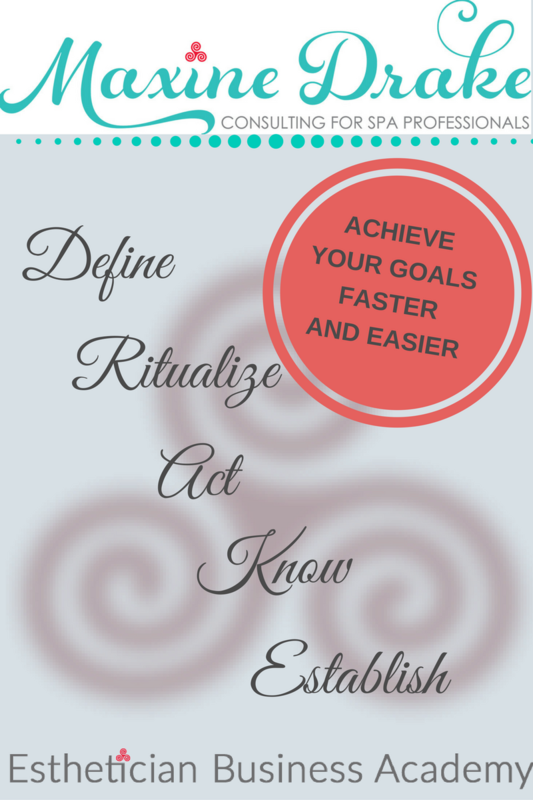 What are things that you can start taking action on to change now just in your own lives? Then taking it beyond that. If this is a matter that you care about, Melissa, what can people do? How can people start spreading awareness and end the practice of artificial water fluoridation in their communities? Melissa: There have been a lot of successes at the local level at having fluoride removed because it’s very expensive. Your local township is spending a lot of money to add this to the water. If they hear that you don’t want it they’ll actually save money. It’s a lot easier than getting them to spend money on something. You’ve got that in your corner. Where towns have organized and had an organized effort to remove fluoridation there have been a lot of successes. You can always just start at your local level, talk to your local city councils and tell them what you think. I’ve heard from so many people thanked me because they were under this misconception that everybody loved fluoride, and that it was completely safe for everyone, and they just haven’t heard the other side of the story. We can just talk at the local level. At the national level, I started a petition at Change.org. The more that we have this local support, the more support we’ll have to end it at the federal level, and I think that’s what really has to happen is the federal government needs to just stop recommending it. Once they stop recommending it local towns won’t want to add it as much. Rachael: Excellent. We have a whole list of links that we’re going to put in the show notes and in the blog post for you guys so that you can check out that petition but also check out Melissa’s website and the books. I want you to get the books, especially if you have a child with acne. Sometimes kids don’t always listen to mom or dad so handing them a book written by an expert who has done really cool research sometimes can be a little bit more convincing. Or show them this video. If there’s someone you know who is a really staunch fluoride supporter show them this video. Share this with them. Share this with your colleagues because this is a message that I really want to get out, especially to people who are struggling with acne. As I said earlier, that’s more and more people really than ever before. Melissa, thank you so much, first of all, for being here with us today. Thank you for doing the work that you do and for really standing up and being prepared and doing the work and spreading awareness. It’s so important. Melissa: Thank you. I was really excited to have the opportunity to speak to aestheticians because they were the ones that really helped me and encouraged me to look for a deeper answer. I’d go to the doctor and they’d say, “Here’s a pill” or, “Take a multivitamin.” The aestheticians were the ones that were like, “What are you eating? What are you drinking?” They were very encouraging on the whole journey. I love them and I am really excited that more of them will know about the fluoride connection and be able to suggest it to their clients. Buy The Hidden Cause of Acne HERE, and buy F is for Fluoride HERE. 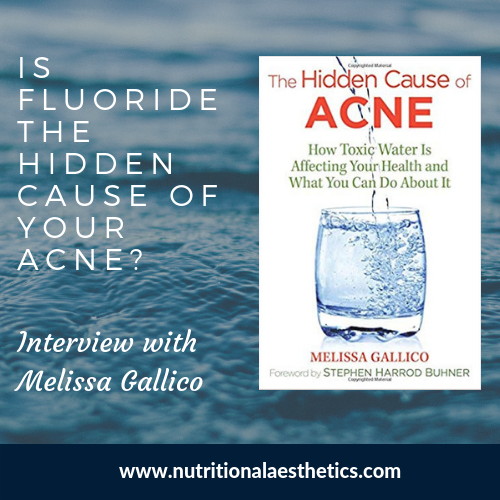 Have you ever noticed a connection between fluoride and acne? 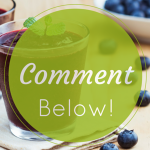 Please share your experience in the comments below! Also, PLEASE share this post with your clients, colleagues, friends and family. It’s such important information!